I represented the BBFC last night at the Let It Be DC benefit concert in Leesburg, Virginia USA. A few weeks ago we interviewed organizer Neal Green about the upcoming event. You can read that interview here. Last night's concert was incredibly fun and musically amazing. Local radio and TV personality Hillary Howard was the MC and she kicked the evening off right on time. A surprise guest, local singer JD Wilkinson took the stage first with a lovely rendition of 'Let It Be'. Next on the bill was The Goodfellas. These guys have performed both at Abbey Road on the River and in Liverpool. Their set was full of some older gems from the Beatles early day such as 'Besame Mucho' and 'Twenty Flight Rock'. They soon had the dance floor packed and fans singing along. After a short break, Apple Core Band - USA took the stage. I've been amazed by this band for years ever since I first saw them at Abbey Road on the River DC. They were on top form and covered favorites from several Beatles albums including 'Got to Get You Into My Life', 'Taxman', 'Lady Madonna' and 'Eight Days a Week'. If you haven't seen this band perform in person, you are missing out. We really need to get them to Liverpool for Beatles Week! Last up on the bill was the incredible band from Richmond Virginia The English Channel. 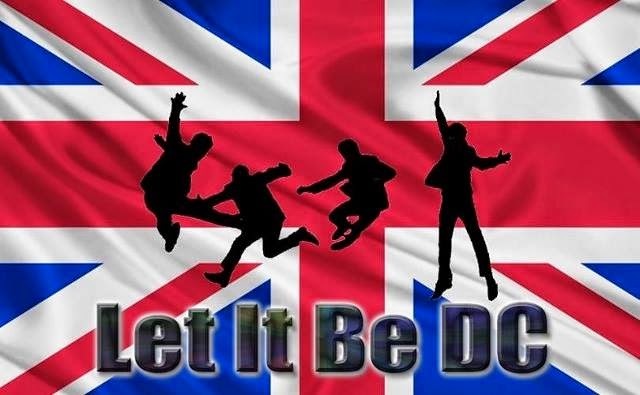 Unlike the other two bands, this one covers British music from the 60's and 70's and not just the Beatles. They were also incredible last night with songs from The Who, Queen, The Moody Blues, The Zombies, a bit of Beatles and even Lulu. If you have plans to go to the next Abbey Road on the River in Louisville in May, you will have to go and see them. For the hearty souls with and a reserve of energy left after hours of dancing and singing and no urgent need to get home, there was a jam session with all the bands that followed and eventually a small group of die hard fans had a sing-a-long into the wee hours of the morning. This was the second year that this event was organized by Neal Green and the first time it was held at Lansdowne Resort. Each year it gets better and better. I am already looking forward to next year. Let It Be DC - This weekend!